In facilitating leadership programs we fall back on what we know, The Awareness Wheel has become that tool. Introduced to me early in my practice by Fred Jacques, it has become an invaluable tool in the leadership through horsemanship programs. The Awareness Wheel provides a view into the similarities and the differences as to how horses and humans perceive things and why that is important in working with people. Developed in the early seventies through the research of Drs. Sherod Miller, Phyllis Miller, Elam W. Nunnally, and Daniel B. Wackman at the University of Minnesota Family Study Center, The Awareness Wheel is the foundation for their couples program on effective talking and listening skills. Strong, trusting relationships through effective talking and listening are skills required by all great leaders, and the model can just as easily apply in any relationship, moving from the boardroom to the arena brilliantly. The Awareness Wheel based on the work of Drs. Sherod Miller, Phyllis Miller, Elam W. Nunnally, and Daniel B. Wackman. The five sectors of the wheel offer insight into how awareness differs in horses and people. Whether it’s a plastic bag or a bear, horses are wired to go from Sensing to Acting in a heartbeat. A horse’s instinct is to respond to every situation as if its life is at stake. Fortunately, we have the capacity to think before we react. For individuals who are fearful or concerned about working with a horse, it’s important to share information about horses in advance of a session so they come prepared and familiar with what to pay attention to. While we differ from horses in many ways, there are similarities in how our brains process information, how we perceive things, and how we learn, so we provide information on how horses think, learn and communicate. We also introduce the predator/prey concept so people are aware how their behaviors can influence the outcomes they see and each arena session begins with a safety/awareness demonstration. When we are outside our comfort zone with a horse, our behaviors might be similar to what we experience in a tough conversation or having to deal with anything we really don’t want to do. This is where the experience with a horse can be really powerful. Helping the human see how much control they have in a situation through the behaviors they demonstrate. The unease many of us feel as we’re about to make that step into an uncomfortable situation is a great way to describe how we move through the stages of The Awareness Wheel. The tool can help us as facilitators frame questions that help an individual translate the feelings around what may be happening before, during, and after their interactions with a horse. As we humans aren’t the best at recognizing the stimuli that may bring us to a point of awareness, and a horse is very clear on that, “Sensing” is a good place to start. Sensing – These are just the facts. What did you notice first? Was it a sound? Something you saw? Is it a feeling in your stomach? Or Is it a past memory? People often begin with an association of a past interaction with a horse, good and more importantly bad. Feeling – This is where you “interpret” what you noticed. Perhaps it was something you caught out of the corner of your eye or a feeling of nervousness in your gut. Ask people to describe what they feel – their response could be “I have butterflies in my stomach.” Can they identify and name their reaction? 1. To Be: respected, appreciated, not be hurt, etc. If those butterflies are fear-based, this is a great time to ask people to notice what else is happening in their body. Where is their tension located? Is it part of their body? Is it their whole body? Can they use their breath to help relax their body? Acting – This is the big one because this leads you to ask “What is the next step?” Are they willing to accept the invitation? This can be a difficult step, especially if they have not taken responsibility for their actions, feelings, and thoughts in the past. If they are fearful, what support can you offer? Excited? In leadership and in horsemanship walking through the wheel isn’t a one-time affair, it is something that needs to become a habit. We become aware of our own behaviors, actions, and reactions and become good critical thinkers about the source of what it is we are noticing. An awareness that means we avoid going from “Sensing to Acting” in a heartbeat. Flower Power – A Model for Using the Awareness Wheel for another perspective. 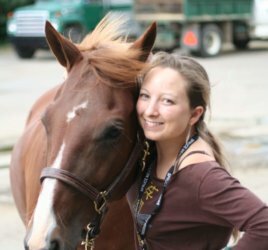 Nancy draws on personal experiences starting horses as the foundation for the programs she offers. 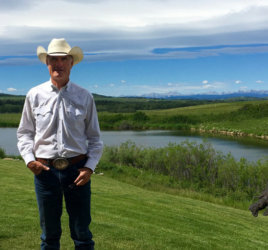 Like horsemanship, you can grasp the concepts and theories of leadership, both rely on the understanding gained through actually doing the work. Combining horses, a design degree and fifteen years managing marketing and communication programs for a national and international clientele, has given Nancy a foundation of meaningful parallels to the workplace. Previous works include the two-volume series The Games People Play with Horses; Creating Exceptional Leaders Through Learning with Horses and In Business to define – marketing your equine business. 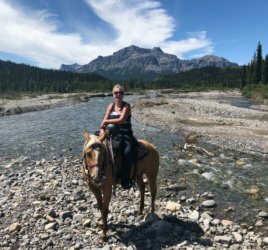 Nancy has presented at numerous conferences, presents annually at the Calgary Stampede and delivered a TEDxTalk Present in Relationship in 2016, on what horses have taught her about herself and leadership presence. 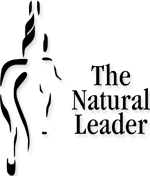 Please contact Nancy Lowery at nancy@TheNaturalLeader.ca or 403.669.3666 to learn more about Leadership is NOT a Wardrobe Issue or to schedule an interview.